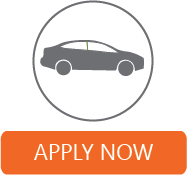 Enjoy lower rates on your electric vehicle loan and let VSECU simplify the financing process. Finance your electric vehicle with a low-interest Green Vehicle Loan at VSECU and receive an instant rebate from Burlington Electric Department (BED). VSECU will apply your rebate up front, to reduce your monthly payments and overall financing costs so you won’t have to wait for your rebate in the mail or refinance the loan later. If you receive federal tax credits, VSECU will apply the funds to your loan principal and re-amortize your loan for free. This rebate is open to BED customers. Learn more. Click here to learn more about the Electric Vehicle Rebate offered to BED customers. Start the pre-approval process by applying online now or choose VSECU for financing at the dealership. Choose the right car for you. If you haven’t been pre-approved, request VSECU for financing at the dealership. We complete your BED rebate when you finance with VSECU. We apply it up front, just like a down payment. Getting pre-approved for your vehicle loan will save you time at the dealership and let you know how much car you can afford. VSECU will work with you to help make your financing a smooth and worry-free experience. Contact a VSECU consumer lending consultant at lendingconsumer@vsecu.com or 1-802-371-5146 for more information. VSECU is a Vermont-based credit union open to anyone who lives or works in Vermont, or anyone who is a member of the Northeast Sustainable Energy Association (NESEA). Be sure to check out the AutoSMART service we provide for members. This one-stop shopping resource provides information about the value of your existing auto, suggested retail prices for new and used autos, plus much more. If you already have a vehicle loan with another financial institution, let us help you save money with your monthly payment. * APR = Annual Percentage Rate. APR is effective as of 11/1/2018 and reflects the current minimum APR offered with a relationship pricing discount (as described above the table). Estimated monthly payments shown are based on a $10,000 loan. Other rates and terms may be available. The APR may be adjusted based on individual credit standing and term. Calculated payments shown are for estimation purposes only. Actual loan payment amount will be disclosed at loan closing and may differ slightly. APPLY: You can apply for most of our loan products online. Our online loan application offers quick results, sometimes letting qualified applicants know of approval instantly. This loan comes with options and levels of discounts and terms. Contact a VSECU consumer lending consultant at lendingconsumer@vsecu.com or 1-802-371-5146 with any questions. QUICK TIP: If you are already a member and want to apply for a product online, it’s easier to apply once you’ve logged into our Online Banking system. That way, we can save you time by pre-filling the application with the general information we already have on file for you. VSECU is a credit union for all Vermonters. This credit union is an Equal Housing Opportunity lender. © 2019 VSECU. Annual Percentage Rate (APR) and Annual Percentage Yield (APY) subject to change without notice and may vary based on discounts, bonuses or other promotional conditions. To provide a better user experience for all audiences, we are actively working on improving the accessibility standards of our website. For more information, please view our Accessibility Statement. You are leaving the VSECU web site. The subsequent web site is not operated by the credit union, and the credit union is not responsible for the content of the web site. VSECU does not represent either the third party or the member if the two enter into a transaction, and Privacy and security policies may differ from those practiced by the credit union.